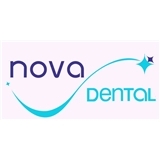 Nova Dental (Owings Mills) - Book Appointment Online! With more than 50 years of experience, we do everything possible to make your dental visit as relaxing and comfortable as possible. In our dental offices, you will experience all modern and advanced dentistry has to offer – One Day, One Beautiful Smile and Same-Day Dental Implants. We are using 3D Digital Technology. We are offering convenient location and Family like Environment, On-Site Dental and Lab, and supreme quality for fees to fit any Budget. Dr Nova was professional, friendly, and explained the dental procedure he recommended in detail during my consultation for implants. Furthermore, the office is clean with advanced high tech equipment. The staff is polite, considerate, and helpful.